Well, we have so many places to go today, that I actually had to map out a game plan based on the location of all of the stores. But I think I have it perfected and I have my coupons and shopping list ready to go! Let's hope we get some good deals! Have fun, sweetie! And I agree. Saturdays before Christmas ANYWHERE are a nightmare! Good luck mama! 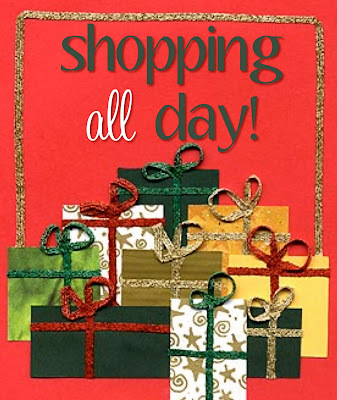 I hope you have a successful day shopping. I made the mistake of TRU on a weekend in December before I had kids. I joked with DH that it was a great form of birth control. Hope you scored some great deals! Good luck with your shopping. I'm dreading to go finish mine. Thanks everyone, we got some GREAT deals! !